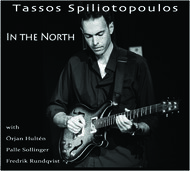 The latest album by guitarist Tassos Spiliotopoulos builds on to the modern Jazz idiom, but this time new influences from greek folk music, film music, flamenco, blues and fusion are added to the mix. 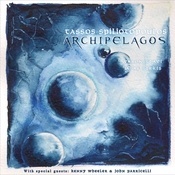 Opting for a more intimate sound on Archipelagos (F-IRE Records) Tassos Spiliotopoulos continues to develop his compositional approach which blends contemporary Jazz with modern classical, folk and even rock fusion. The album's eight tracks offer a guitar oriented, European sound that is both intricate and powerful while at times becomes reflective and mesmerizing. The Trio (Yaron Stavi-bass and Asaf Sirkis, drums) interprets with a range of colours, from energetic to almost brittle and strong band interplay is always at the core of their sound. The album also features two very special guests, guitar virtuoso John Parricelli and legendary trumpeter Kenny Wheeler. 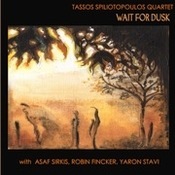 Wait For Dusk (Konnex Records) is the debut release from Tassos Spiliotopoulos Quartet featuring Robin Fincker (Tenor Saxophone), Yaron Stavi (Bass) and Asaf Sirkis (Drums). The album contains nine original compositions with a unique sound that is adventurous, atmospheric and at times cinematic. The mood is both dark and joyous, nostalgic and sometimes playful.